IC-7300 with Ham Radio Deluxe 5.24 - Not many HAM radio programs do already support the IC-7300. As far as CAT commands, the IC-7300 seems to be compatible with older radios like the IC-7700. 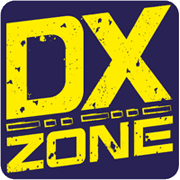 Here�s a description of setting up your IC-7300 radio to work with the last freeware version of Ham Radio Deluxe (5.24).